Tiffany 1 side chair come in a 3 quarter back without a hand hold. The inset back and seat can be upholstered in a fabric of your choice. 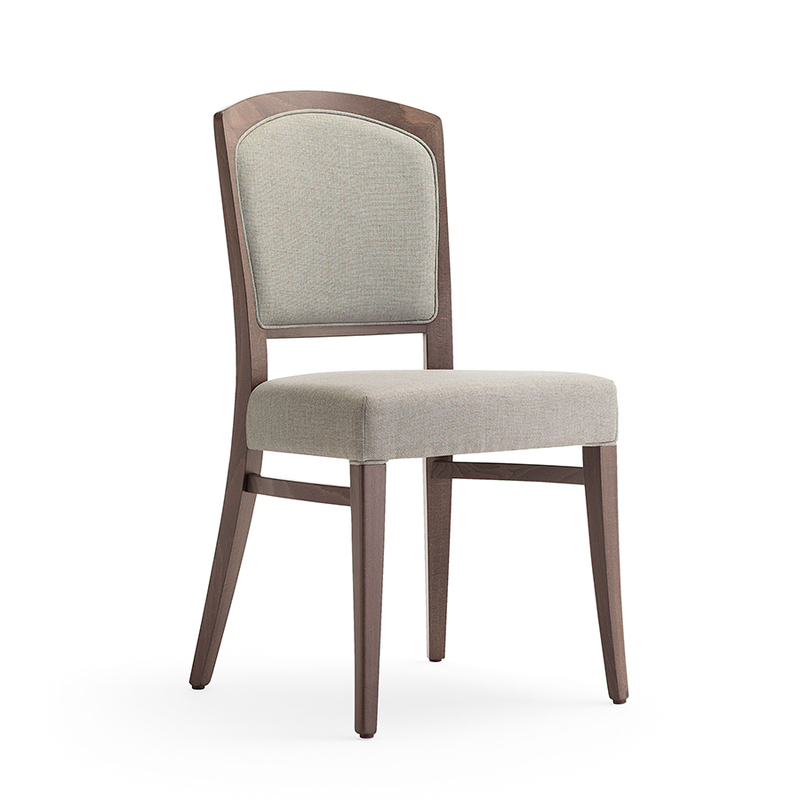 Tiffany 1 side chair is a 3/4 back restaurant side chair with side stretches is a high quality modern chair. An ideal and desirable design that will suit any modern dining establishment. Available in custom material finish and legs which can be polished in a choice of different stains to suit your project. Height 920mm x Width 460mm x Deep 550mm x Seat height 490mm.